HALLOWEEN HOTTIES: HALLOWEEN HOTTIE OF 2018! MONSTERZERO NJ’S HALLOWEEN HOTTIE OF 2018…NICOLE MUÑOZ! …and our Halloween Hottie of 2018 is…Nicole Muñoz! This pretty, Canadian actress helped make Pyewacket one of this year’s best horrors with an impressive performance as emotionally troubled, teen Leah. Dealing with the loss of her father, Leah has turned to a more Gothic lifestyle with an interest in Death Metal and the occult. She is currently in conflict with her mother (Laurie Holden), who is dealing with her grief by removing everything that reminds her of her late husband. This conflict escalates to the point where a desperate Leah turns to an evil entity to kill her mother. Leah realizes too late that she has made a horrible mistake, as her summoning comes with a terrible cost and Pyewacket comes to collect. Muñoz skillfully portrays a very emotionally wounded teen who can’t turn to the one person she should be able to…her mother. She perfectly captures the anger and frustration of her situation. She then turns Leah’s anger into fright as the character realizes that one should be careful what they wish for. Nicole Muñoz as troubled teen, Leah! Leah, a young girl with a lot on her mind. Desperation leads Leah to conduct a ritual to summon an ancient evil. Her actions come with a terrible price as a dark presence stalks her. Has she realized her mistake too late? Can anyone save Leah from what she’s called upon? Nicole’s resume shows that not only has this TV and film actress been working since she was ten years-old, but has the versatility to play many different roles. She is also no stranger to horror with films like 2006’s The Tooth Fairy, 2013’s Scarecrow and now Pyewacket on her filmography. Whatever her next project is, we hope this talented young woman returns to our favorite genre soon! HALLOWEEN HOTTIE OF 2018 RUNNER UP, SCOUT TAYLOR-COMPTON! Again this year it was so close that it’s more like a co-winner than a runner up. Compton gave us a strong woman to root for as she and her friends come under attack from zombie-like creatures in Feral. Compton’s Alice takes charge to protect her friends, including her lover, Jules (It Follows’ Olivia Luccardi). Alice is a fighter, but a compassionate one and it is this contrast between tough and tender that makes her so interesting and endearing. A woman coming out to her friends and then having to fight to protect them, it’s a very non-stereotype character portrayed very well by this horror flick veteran! This year was, again, a tough choice. Both these ladies were great in their roles and really brought it as their respective film’s lead! 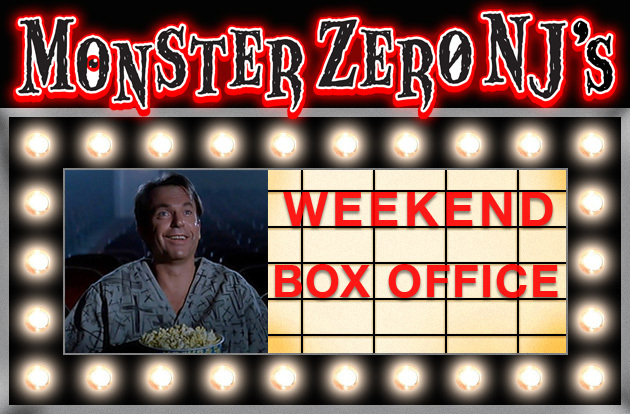 MONSTERZERO NJ’S 21 HORROR FLICKS WITH BABYSITTERS! Is babysitter Emelie in traditional peril?…or causing it? You’ll have to watch Emelie to find out! As we approach Halloween🎃, it might be fun to take a look at a classic horror film trope, the babysitter in peril! Here are twenty-one horror flicks which revolve around or include sequences of babysitters in peril…or sometimes, causing it! MONSTERZERO NJ’S HORROR FLICKS THAT ACTUALLY TAKE PLACE ON HALLOWEEN! 5 DIRECTORS BRINGING NEW BLOOD TO HORROR! At Halloween 🎃 time it is when we most think about scary movies, even those of us who watch them all year round. So why not take a look at five individuals who are bringing their own distinct vision to the genre and whom horror fans should be talking more about!…and no, I didn’t forget the ladies, they deserve their own installment, forthcoming! Adam MacDonald is a Canadian actor and filmmaker who has written and directed two features, thus far, that have made quite an impression. His first film Backcountry is a survival thriller that followed a couple (Jeff Roop and Missy Peregrym) who go camping in the woods. Jealous of his girlfriend’s success, her beau chooses a lesser traveled route to prove himself to her. This puts them within the feeding ground of a massive and very hungry grizzly bear and thus sets up an intense and sometimes brutal last act. His second film Pyewacket is a supernatural thriller which finds a mother and daughter (Laurie Holden and Nicole Muñoz) in conflict over their methods of mourning the death of their husband/father. This propels the occult fascinated teen Leah (Muñoz) to evoke the dark entity Pyewacket to kill her mother. Leah soon learns to be careful what you wish for. Both films use troubled relationships as a catalyst for their stories and Pyewacket especially has some good old fashion scares and chills supported by a strong emotional center. MacDonald is showing a versatility and a depth to his filmmaking. Adam currently wrapped filming on Slasher season 3, so look out for more from this talented new voice in horror! Stevan Mena is a New York born filmmaker who is a one man production company, writing ,editing, directing, producing and even scoring his own films. He made a splash in 2003 with his low budget slasher Malevolence, which was an old-fashioned horror throwback that echoed both Halloween and The Texas Chainsaw Massacre. Set in and around an abandoned slaughterhouse, it told the chilling story of some bank robbers and their hostages meeting up with serial killer Martin Bristol (Jay Cohen). He followed that up with a horror icon filled horror/comedy called Brutal Massacre, before returning to the saga of Bristol in 2010 with the brutal and intense Bereavement. The second Malevolence film was a prequel telling the story of how serial killer Graham Sutter (Brett Rickaby) kidnapped Martin (Spencer List ) as a child and trained him to be his successor. It’s one of the best horrors of the decade IMO. Recently Mena overcame some tragic events to complete his Malevolence trilogy with the independently financed Malevolence 3: Killer. Sequel has an adult Martin (a returning Jay Cohen) leaving a blood soaked trail on the way back to his home town. Mena’s work evokes that of John Carpenter himself and one hopes he returns to the director’s chair sooner than later. Colin Minihan started out as part of the writing/directing duo known as The Vicious Brothers along with collaborator Stuart Ortiz. Their first film was the fun and spooky found footage paranormal show send up Grave Encounters in 2011. They followed that up with the entertaining and chilling cabin in the woods/alien invasion hybrid Extraterrestrial in 2014. Though co-written with Ortiz, Minihan took the director’s chair solo for the next film It Stains The Sands Red. This was an amusing, bloody and offbeat tale of a lone woman (Brittany Allen) being followed across the desert by a lone zombie. An interesting relationship forms as she fights brutal heat, dehydration and her relentless undead pursuer. Minihan wrote and directed his fourth film on his own with the brutal and intense What Keeps You Alive. One of the years best, it finds a married lesbian couple (Brittany Allen and Hanna Emily Anderson) celebrating their anniversary in a remote cabin in the woods. Soon romantic bliss becomes a battle for survival as one of the women is not who she seems. This flick proves Minihan is a force to be reckoned with, armed with a great script, taunt direction and brilliant work by his lead actresses. Minihan is a filmmaker fans need to be talking more about. Boston born Anthony Diblasi is another filmmaker showing great versatility and a mastery of horror while also providing some emotional depth to his films. His first film Dread was a chilling tale of a college documentary project about fear, spinning horribly out of control. His next film Cassadaga, found deaf art teacher Lily (Kelen Coleman) being haunted by the spirit of a murdered young woman whose killer may have his sights set next on the pretty teacher. Diblasi worked on some non-genre projects and the horror anthology The Profane Exhibit before co-writing and directing The Last Shift in 2014. One of his scariest flicks, the story found a young policewoman being given the final shift in a haunted police precinct closing it’s doors in the morning…but can she survive the night? Diblasi returned to horror again in 2015 with Most Likely To Die, an old fashioned slasher about a high school reunion turned deadly, and again in 2018 with Extremity. His latest finds an emotionally troubled woman turning to an extreme haunt to make her face her fears…bad idea. The film was not only disturbing and scary, but had a strong emotional lining with multi-dimensional characters and commentary about abuse and the lives it effects. Another filmmaker that is bringing a distinct voice to the horror genre. Just because one is the son of legendary actor Anthony (Psycho) Perkins, one should not assume actor/director Oz Perkins knows horror…but he does! One of the most interesting filmmakers out there, Perkins has a unique vision and a strong ability to chill to the bone. His first film The Blackcoat’s Daughter finds Rose (Lucy Boynton), a student at a Catholic girls school, given charge of new student Kat (Kiernan Shipka) at break. With almost everyone else gone, Rose starts to realize there is something very wrong with Kat and that she may be in danger. Perkins followed that up with a very atmospheric ghost story I Am The Pretty Thing That Lives In The House. 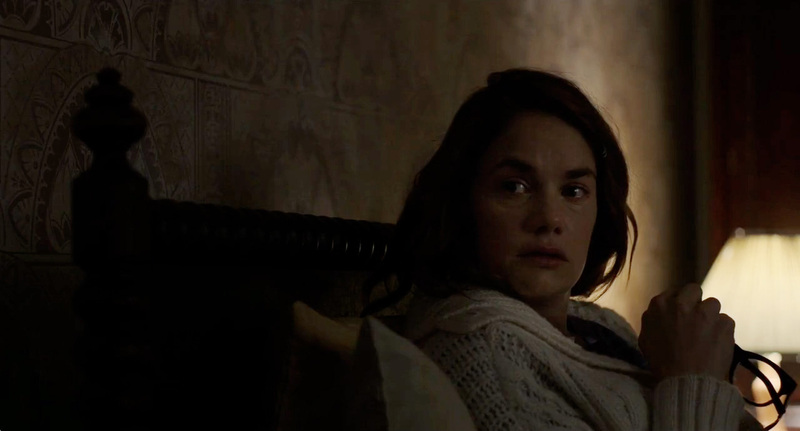 Perkins writes and directs a subtle, yet chilling tale of care nurse Lily (Ruth Wilson) coming to live with ailing horror novelist Iris Blum (Paula Prentiss). Soon timid Lily starts to find out that Iris Blum’s inspirations may be far more real than she’d like. It’s a creepy and very effective film. Word has it his next film may be entitled A Head Full Of Ghosts and as he is bringing a very unique style to the genre, he sounds like the right man for the job! So these are five creative forces bringing new blood to horror. Each one is worth screaming about and their films are certainly worth checking out! …and stay tuned for our second installment taking a look at the creative ladies bringing their unique voices to the genre! 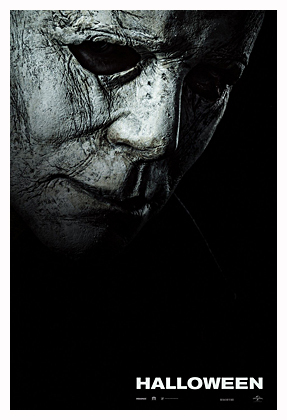 Halloween 2018 opens to find Laurie Strode (Jamie Lee Curtis) living in solitude after some failed marriages and loosing custody of her only daughter Karen (Judy Greer). She’s taught herself to survive and fight and is in a constant state of preparedness for Michael Myers’ (Nick Castle and James Jude Courtney) possible return. As for Michael, he was recaptured after that fateful night and has been incarcerated in the Smith’s Grove Asylum ever since. A pair of British journalists (Rhian Rees and Jefferson Hall) visit Michael, on the eve of his transfer to an even more secure institution, and try to evoke a response by presenting him with his old mask. Of course, that night, the transfer bus suffers an accident and Michael escapes, reclaims his mask and heads off to Haddonfield in time for Halloween. But Laurie intends to protect her daughter and granddaughter (Andi Matichak) and goes on the hunt to confront Michael once and for all. John Carpenter returns to the series to executive produce, along with Jamie Lee Curtis. He also co-wrote the score with son Cody Carpenter and Daniel Davies. The film itself is directed by David Gordon Green (Pineapple Express) who co-wrote with Danny McBride and Jeff Fradley for Blumhouse and Miramax. Background in comedy aside, Green delivers what is probably the best of the post Halloween III sequels, though technically that is not saying much. It also feels much more like a Halloween film than Rob Zombie’s efforts, but those are their own thing and exist in their own universe. It’s not perfect and still can’t come close to the original, but it does provide some intense scenes, especially in the last act confrontation. There is some brutal violence and Myers hasn’t mellowed in his old age (he’s about 61 here) as he still has a fondness for babysitters, anyone home alone…and or course, the Strode women. The film’s drawbacks are mostly script problems. The character of Loomis protégée, Dr. Sartain (Haluk Bilginer) seems shoehorned into the story, just so it has another Loomis. He doesn’t provide any useful exposition and as Michael hasn’t spoken in 40 years, he can’t know anything much more about him than Loomis did. There is also a last act plot twist involving him which simply doesn’t work and serves only to set up one of the film’s many conveniences. The flick also never maintains a constant feeling of dread as did the original. It’s never really scary, though it does get intense and there are some suspenseful moments. Michael’s killings in Haddonfield seem far more random than before. In the original he stalked Laurie’s friends, here it’s just randomly picked people to add body count before the last reel showdown. It works, but still seems like filler. When that showdown comes, it is intense and delivers what we came for and Green does pay nice homage to the original and some of the sequels it chooses to ignore. It also looks great, Green has a good visual eye and Haddonfield looks the most like Haddonfield since it did in 1981’s Halloween II. Green also gets good work out of most of his cast. Jamie Lee Curtis is great as the emotionally troubled survivalist that Laurie Strode has become. If her character evokes the transformation of Sarah Conner from The Terminator to it’s sequel, T2: Judgement Day, it’s probably intentional…and it works. She’s still the queen of final girls. Greer is very good as her somewhat estranged daughter and it’s a shame this talented actress constantly gets these second banana supporting roles. Andi Matichak was solid as Strode’s granddaughter Ally. She seems to take more after her grandmother than her mother, though due to the story trajectory, she takes a backseat to Curtis in terms of final girl duty. Will Patton was solid as the local sheriff, Haluk Bilginer is no Donald Pleasence as Sartain, and Rees and Hall were suitable in their brief roles as the British journalists who rattle the wrong cage. Last, but certainly not least, Nick Castle and James Jude Courtney combine to make an imposing Myers, who is more threatening than he was in any of the post Halloween III, pre-Zombie sequels. 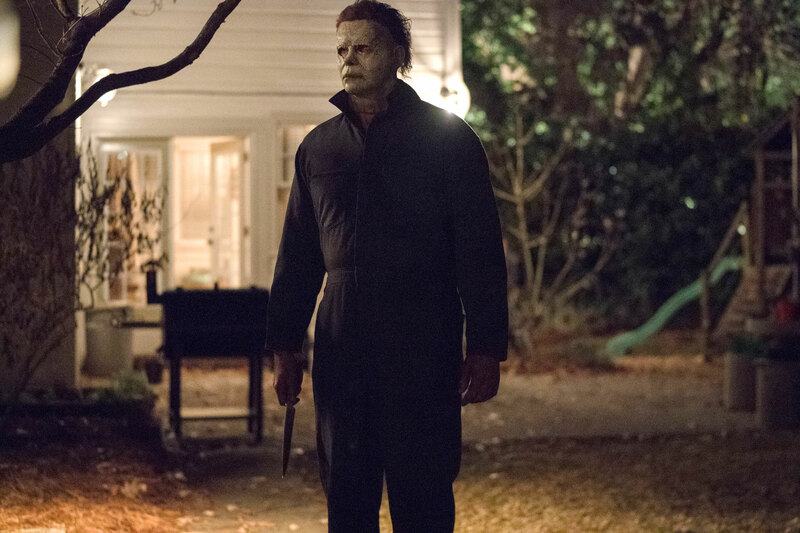 Overall, Halloween 2018 was a suitable enough sequel, though not without it’s flaws and it’s no classic. Director Green gave us some intense scenes and some brutally violent moments, as well as, a strong last act confrontation. His script let’s us down a bit, with some really contrived conveniences and a Loomis replacement that wasn’t necessary and who suffered one of the worst plot twists of the film. The continual sense of dread Carpenter established was missing and Michael’s kills seemed especially random and there to “kill” time as we awaited his reunion with Laurie. Curtis is still queen of the final girls forty years later and Dr. Sartain aside, most of the cast and characters worked, even if some were obvious Michael fodder. Halloween 1978 is a masterpiece and a horror classic, so one can’t expect the same from any of the sequels. Most of them sucked, anyway, making it easy for this film to be able to at least hold it’s ground against the original three…and flaws aside, it does. Stay through the credits. Rated 3 three carving knives. Happy Halloween 🎃! 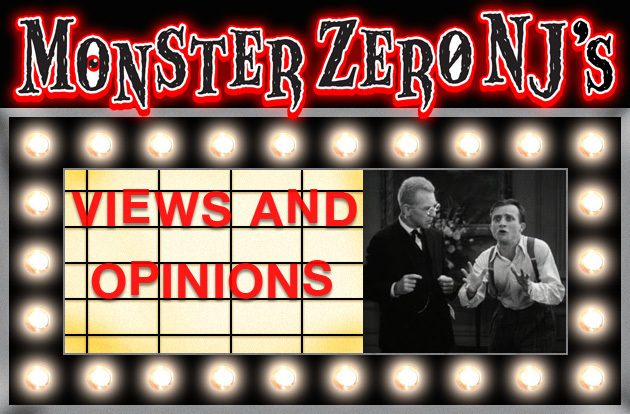 MONSTERZERO NJ’S 10 RECENT HORRORS FIT FOR HALLOWEEN! After forty years, Michael Myers returns to haunt Halloween! Halloween 🎃 is almost here and 2018 has unleashed some very impressive horrors to view during the spooky season! Here are ten which make worthy additions to any Halloween playlist…of course Halloween 2018 opens on 10/19/18, but that is only days away! Malevolence 3: Killer opens with the final scenes of the first film…remember, Bereavement was a prequel…with serial killer Martin Bristol (Jay Cohen) escaping into the woods. Martin, in true Michael Myers fashion, returns to his childhood home town and begins a killing spree. He leaves a trail of bodies as he returns to the house he was born in, which is now home to pretty student and musician Ellie (Katie Gibson) and her roommates Tara (Kelsey Deanne) and the vivacious Lynn (Alli Caudle). Drawn to the three girls, Martin begins stalking them, killing anyone who crosses his path. All the while Agent Perkins (Kevin McKelvey) is hot on his trail in hopes to stop Martin before he kills again. Malevolence was a solid slasher homage giving us elements that evoked both Halloween and The Texas Chainsaw Massacre. Bereavement was something all it’s own with a portrait of a deranged killer (Brett Rickaby) teaching his grim trade to kidnapped little boy, Martin (Spencer List). With the third installment, Stevan Mena returns to a more traditional slasher film with the adult Martin paying his home town a bloody visit and a trio of young girls picking the wrong house to preside in. As such, Mena crafts another solid slasher flick much on par with his original. The film doesn’t quite have the emotional resonance of his creation of a serial killer prequel, though there are some scenes with Martin’s grieving mother (Ashley Wolfe) and grandmother (the legendary Adrienne Barbeau), which work nicely on that level. In most slashers if the killer’s mother is still alive, she’s usually portrayed as equally deranged, so this was a nice change and added some depth. Most importantly, the film does do what it’s supposed to do and does it well. It’s paced much like the slashers of the early 80s with a moderate burn till the last act. There is some traditional skin shown by it’s lovely cast and the kills are bloody and brutal, yet grounded, so they keep their impact and avoid the outlandishness of many other slasher franchises. Mena’s killer is effective and needs no mask to elicit chills and his prey are a likable group of girls and neighbors, so we feel for them. When that last act comes and Martin and Ellie throw down, it’s intense and bloody as Agent Perkins closes in…but will it be in time? On a technical level Mena’s shots are excellently framed, that and his cinematography evokes Carpenter and Dean Cundey in the very best way. The film looks very good for a low budget flick and except for a few shots of Katie Gibson’s hair changing length a bit, there is really no evidence the film had such a troubled production. Again, a filmmaker’s passion and perseverance found a way to complete his vision. Cast-wise Mena hits a home run with the casting of Katie Gibson as Ellie. Her Ellie is sweet, strong and a very likable young lady. She is also tough and resilient when Martin finally moves in for the kill. She’s a great final girl in every sense of the word and even gets to play a variation of the traditional babysitter, when, thanks to Martin, her young neighbor Victoria (Victoria Mena) finds herself all alone. If Stevan Mena continues this franchise or makes another horror film, I hope he brings Gibson along. As Martin, Jay Cohen is an imposing figure. He doesn’t speak, but isn’t hidden behind a mask, so the actor has to display his cold blooded-ness with only his eyes and facial expression and he does so very well…and remember, Martin also has congenital analgesia, so he can’t feel pain. Kevin McKelvey returns for his third go as Perkins and fits the mold of the “Dr. Loomis” of the film. He’s tough and strong, yet there is also compassion, as he recognizes that in some ways Martin is just as much a victim as he is a killer. This touch helps Perkins avoid being a stereotype. Barbeau is effective in her few scenes as Martin’s grandmother, as is Ashley Wolfe returning as Martin long-suffering mom. In support, Alli Caudle and Kelsey Deanne are likable as the saucy Lynn and studious Tara, respectively and it is sad Scott Decker was not able to complete his role, as Agent Roland is a likable character with, unavoidably, too little screen time. RIP. Overall, this was a solid slasher and another example of Stevan Mena’s love of the genre. IMO Bereavement is one of the best horror films in the last ten years and Mena wisely doesn’t try to replicate it. Sequel instead returns to basics to display the results of Graham Sutter’s (Rickaby) work in Martin. 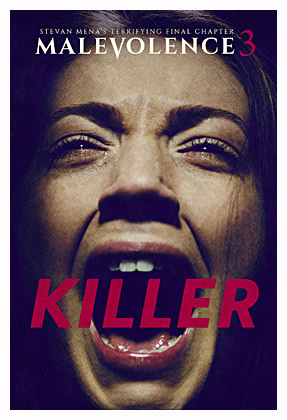 It has a moderate pace echoing it’s influences and delivers the goods from some bloody kills to a resilient and very endearing final girl. Mena overcame some heavy obstacles to complete his trilogy and one hopes the trilogy becomes a series and Malevolence 4 will be a smoother production and come sooner than the eight years between these films. Mena is yet another filmmaker people need to be talking more about and another example that you can get your film made! F.Y.I. Malevolence 3: Killer is available for streaming on Amazon and iTunes, or you can order the complete trilogy on Blu-Ray from Amazon.com and Walmart. Rated 3 and 1/2 knives!